For island nations already dealing with more frequent and intense extreme weather events, climate change is an imposing burden. But many island states are responding and becoming “incubators of resilience,” as Lynae Bresser recently wrote. 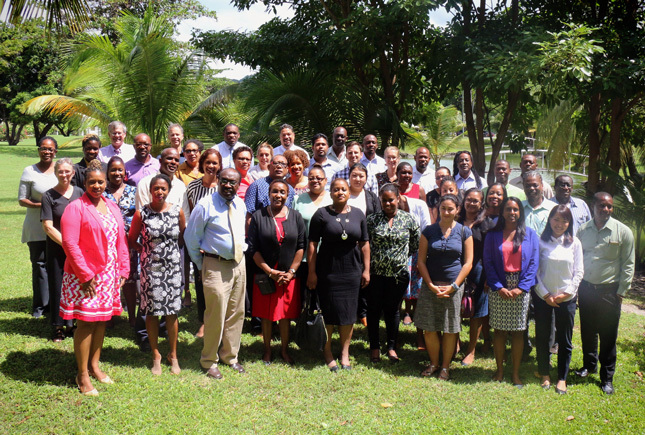 Last month, my organization co-hosted a unique workshop in Grenada on national adaptation planning that brought together representatives from 10 Caribbean countries to discuss National Adaptation Plans, or NAPs. The NAP process was established by the United Nations as a way to encourage countries to plan for climate change. This workshop took place just a week after Hurricane Matthew took at least 877 lives according to Reuters – the majority in Haiti – and destabilized the livelihoods of many more in a sobering reminder of the high stakes involved in preparing for extreme weather. Grenada is very familiar with these high stakes and has become a regional leader in building climate resilience. In 2004, Hurricane Ivan caused damages worth 200 percent of the country’s annual GDP and affected 89 percent of homes. 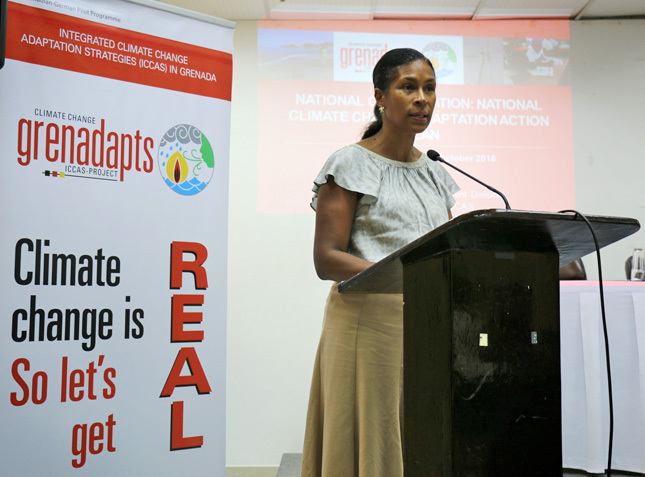 Grenada scaled up its climate change planning following the storm and recently completed its first NAP. In this workshop, Grenada hosted adaptation planners from nine countries: Antigua and Barbuda, the Commonwealth of Dominica, St. Kitts and Nevis, Belize, Guyana, Jamaica, St. Lucia, St. Vincent and the Grenadines, and Suriname. The hosts shared lessons learned from an extensive process of engaging public and private stakeholders across Grenada, and the participants made valuable strides building a community of resilience thinkers and doers. “NAP” is a sleepy acronym for what is, in fact, a highly dynamic process. Developed by the UN Framework Convention on Climate Change in 2012 for medium- to long-term adaptation planning, the NAP process is designed to be country-driven, integrated (cutting across sectors and different levels of government) and iterative, with plans renewed on a regular basis to reflect new information about the most effective responses. Many of the Caribbean countries represented in Grenada are still in the early stages of the NAP drafting process. They are taking stock of adaptation policies that are already in place, organizing the institutional structures that will drive their planning and implementation, and identifying which sectors need to be prioritized. A key challenge for many countries is identifying how to finance their NAPs. Bilateral development partners, like the major aid agencies of OECD countries, have an important role to play in supporting NAPs in the Caribbean, both through financial and technical support. Unlike some regions where one donor tends to dominate, there are many development partners active in the Caribbean. This event alone included representatives from Germany, Japan, the United States, Canada, the UN Development Program, and the UN Environment Program discussing the support they can offer. Why is this process important? The United Nations recently warned that even if countries achieve the emissions reductions pledges made last year in Paris the world is on trajectory towards 3ºC (5.4ºF) of global warming. It is essential that we continue raising ambitions on mitigating greenhouse gas emissions, but there is also a clear need to adapt to climate effects that are now unavoidable. The NAPs offer a mechanism for countries to protect their most vulnerable communities and ecosystems. As more countries engage in the NAP process and take stronger steps to adapt to climate change, coordination will become increasingly important. Development partners, for their part, will need to work together to avoid duplication and make sure a wide breadth of sectors and regions are covered. But just as development partners need to collaborate to align their support, there are also exciting opportunities for countries to share the lessons they learn on common challenges like financing. The adaptation practitioners who met in Grenada showed great enthusiasm for national adaptation planning, and the exchanges at this workshop laid the foundation for sustained peer-learning, with many seeming to draw inspiration from one another’s successes. Christian Ledwell is a media and communications officer for the International Institute for Sustainable Development’s resilience program, which hosts the NAP Global Network Secretariat. Sources: The Guardian, NAP Global Network, Reuters, United Nations Framework Convention on Climate Change. Photo Credit: Aria St. Louis, head of Grenada’s Environment Unit, and the workshop attendees, used with permission courtesy of the NAP Global Network/Japan-Caribbean Climate Change Partnership.